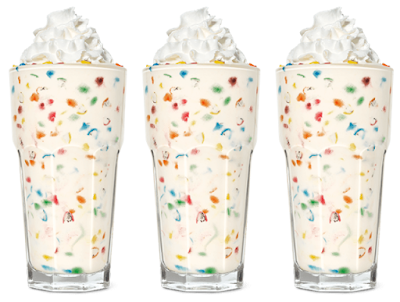 Burger King whips up a new M&M's shake that they're calling the "Vanilla Shake Made With M&M’S Chocolate Candies." Given the very descriptive name you can probably guess what's in it but, just in case, it's a blend of vanilla soft serve, vanilla syrup, and Plain milk chocolate M&M's, crowned with whipped topping. The price per shake in my area is $3.79. 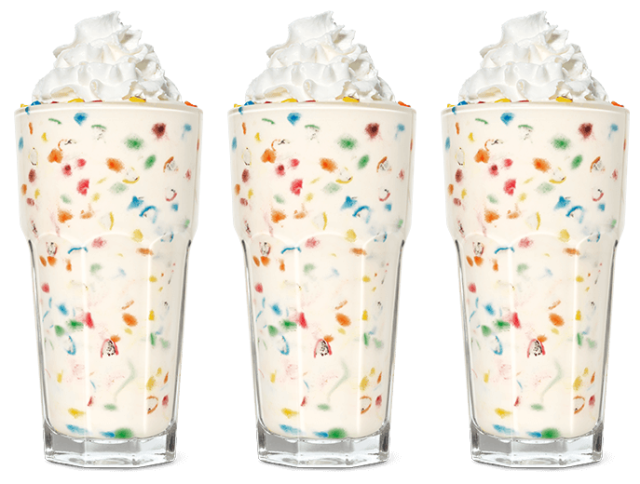 While they have the M&M's handy, it looks like you can get a Chocolate Sundae topped with M&M's as well as a Chocolate M&M's shake at select locations.